We believe that a doctor and a patient become a team for treating an individual’s feet. Our physicians spend most of their time listening to understand your concerns and responding with the best treatment options for you. With the help of our professional staff, they also follow up to make sure that generally pain is relieved, problems are resolved and your health improves. We also want our patients to be informed about podiatric problems and treatments because informed patients make better decisions about their health and well-being. That is why we’ve included an extensive section on this website covering the full array of topics associated with podiatry and podiatric diagnoses and treatments. We encourage you to look through these pages whenever you have an interest or concern about your feet. We also know that convenience in the Park Ridge area is important to your selection of a podiatrist. In these web pages, you’ll find information about Neamand Foot and Ankle Center’s office, including our Park Ridge location, maps, directions, hours, insurance policies, and appointment scheduling. Please feel free to contact us with any questions you have or to request an appointment. We hope you’ll find our practice offers the accessibility and personal commitment you look for from a physician. I was referred to Dr. Neamand by a friend. He has excellent bedside manner. He is very thorough in his explanations. His office staff has been polite and very helpful. I would highly recommend him to anyone looking for a podiatrist. "Dr Neamand is friendly and attentive"
Convenient location and the staff is pleasant. Dr Neamand is friendly and attentive too. My only complaint is that on both visits I have waited over an hour to see him. However, I will take the packed waiting room and wait time in stride because it means that he is good at what he does. Excellent doctor, professional, answers all your questions and sets you on the path to pain free and healthy feet. Highly recommend! My 90 year old father is a patient of Dr. Neamand. Dr. Neamnad really cares about his patients. My father is always well taken care of, we wouldn't go anywhere else! "I will be forever grateful!" Dr. Neamand is the BEST! He totally changed my life in 2011 when, after suffering for 27 years with a complex foot injury, he performed the surgery that in so many ways gave me my life back. I met with a total of 4 doctors, and immediately upon meeting Dr. Neamand I knew I wanted him to do the surgery (I actually had a surgery date booked with another doctor and cancelled, after booking the surgery date with Dr. Neamand). Two friend recommended him to me, and I will be forever grateful! 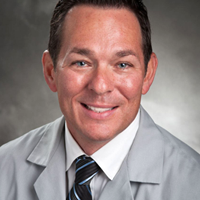 Dr. Neamand is an accomplished podiatric surgeon in with nearly 20 years of professional experience. He specializes in sports medicine and the newest techniques in operative and non-operative foot and ankle care. He maintains the highest level of accreditation and pursues ongoing education to stay abrest in the latest trends in podiatric medicine. His private practice is conveniently located in the heart of Park Ridge, IL. Read more about the doctor. We treat all injuries and ailments relating to the foot and ankle. Please click <here> to be directed to our services page. The following are just a few of the most common diagnosis. Please call our office at 847-698-2895 and we will do our best to accommodate your needs. You may also fill out the fields below and click Submit to have your request reach us via email.